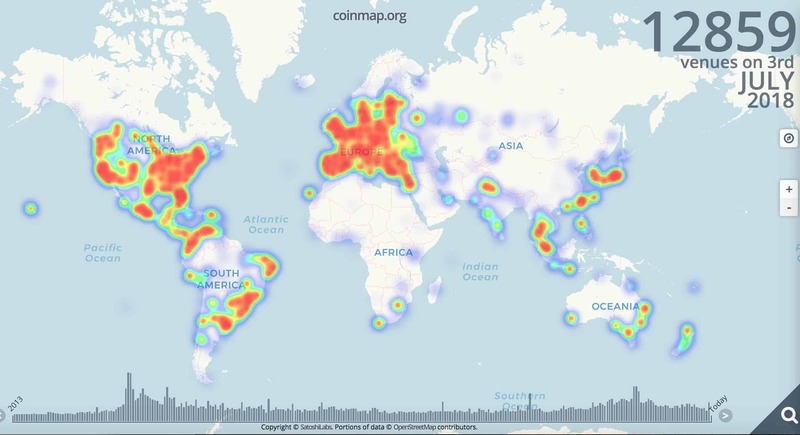 Many businesses all over the world are considering accepting Bitcoin as a form of payment. According to Coinmap.org, in March 2017, 8,665 businesses accepted Bitcoin, a 5.5% increase from just 3 months prior. 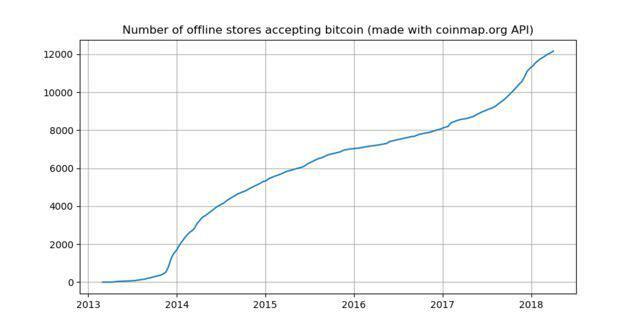 Further data suggest that the growth in offline businesses accepting bitcoin was unaffected by the significant recent drop in price from $18,000 to $6,000. Yet despite the increase in adoption, a handful of high profile businesses have taken a less optimistic view of the cryptocurrency. Stripe stopped accepting Bitcoin in January due to its lack of scalability and price volatility issues. Expedia quietly stopped accepting Bitcoin just last month, although they gave no official reason. With the many technical and regulatory issues surrounding Bitcoin, it’s clear that large corporations are still hesitant about embracing it. If you’re a business considering accepting Bitcoin or other cryptocurrencies, you’re likely already well aware of the challenges, but may be less aware that these digital assets are quietly making significant headway in how they can be scaled, converted and stabilized to meet the demands of vendors everywhere. The Lightning network is a ‘layer 2’ scaling solution that extends the capacity of existing Blockchains so that transactions can be cheaper and more frequent. Smaller, less significant transactions are stored ‘off chain’, and are essentially bundled up and validated independently by small communities before being sent back to the main Blockchain, where they can be processed as one single transaction. Atomic swaps are a new development that aims to increase the interoperability between Bitcoin and Altcoins, making it possible for customers to make payments in Bitcoin, regardless of what cryptocurrency they are holding in their wallets at the time. As the name suggests, users will be able to instantly swap their coins for the requested currency, while retaining the same value (for example: instantly swapping 32,000 CVC for 1 BTC to pay for an item on an online store). The ability to exchange value between coins as easily as one can change Wifi options is an extremely powerful feature that is sure to be a paradigm shift for businesses everywhere. As a business owner, nothing is more difficult than acquiring and retaining new customers. Yet as you struggle to attract the attention of FIAT paying customers who see far too many ads to care, your competitors are investing time and resources into serving loyal communities of Bitcoin holders and reaping the benefits. If you want a competitive advantage, you need to take notice of the hidden advantages that come with accepting Bitcoin and other cryptocurrencies. Bitcoin is still early enough that those who hold and spend it consider themselves to be in a ‘tribe’; standing against the mainstream FUD spread by Governments and centralized banks. As a business, declaring that you accept Bitcoin means opening up your doors to a loyal and international group of customers who will be willing to pay attention to you simply because you are aligning yourself with their ‘tribe’. If Bitcoin spenders are a tribe, then so are those who spend the hundreds of other cryptocurrencies that exist in the market. As a business, your job is to identify a niche market of people who you can count on to consistently buy your products or services. The crypto market offers a unique opportunity to segment potential customers based on the type of money they hold, and what that says about the products they’re most likely to buy (for example, BAT holders don’t like traditional advertising and would prefer to be sold on products more organically. NEO coin holders are most likely to be part of the Chinese market, and STEEM holders may be more likely to pay for digital content they enjoy). Businesses looking to accept Bitcoin as a payment method should be aware that price volatility will cause an occasional variance in the total revenue generated unless there is an immediate liquidation to FIAT or local currency. Furthermore, any business interested in accepting Bitcoin should also take proper steps to secure its crypto funds, security measures come along with crypto. Finally, business should also keep track of the local regulations regarding merchants accepting cryptocurrencies and holding crypto. Cryptocurrencies are already changing how consumers store and spend money. As the technology continues to scale, stabilize and become easily convertible, the case for accepting cryptocurrencies as a way to get ahead in our highly competitive fiat-based economy will only become more obvious to businesses everywhere.